Someone sent this to me yesterday (perhaps because I’ve been a Patriots fan since 1970 when they played their home games at Fenway Park). Apparently, it’s a story that everyone on the planet has seen – except me. “Working people often ask retired people what they do to make their days interesting. Well, yesterday, my wife and I went into the city and went into a shop. We were only in there five minutes – tops. As soon as we came out, we saw a cop writing up a parking ticket. (You know the feeling). He ignored us and kept writing up the ticket. Then I called him – let’s just say – an unflattering, highly insulting name. 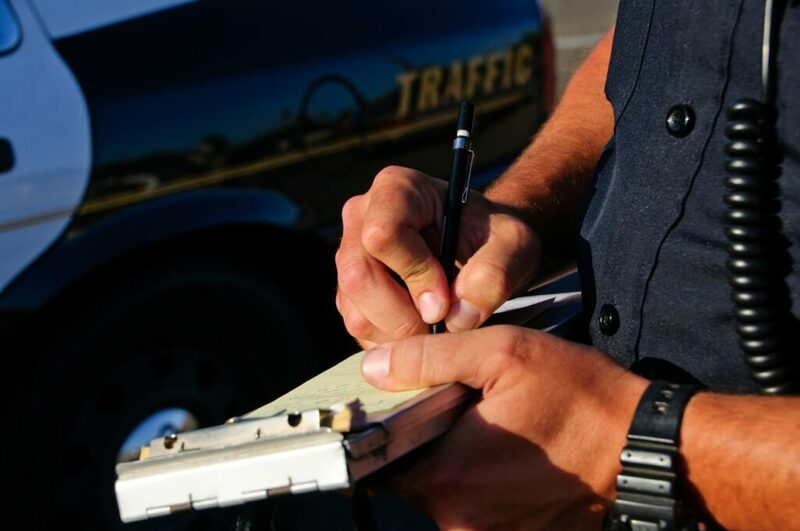 He glared back and started writing a new ticket for excessive wear on a front tire. He finished the second ticket and slapped it on the windshield. My wife decided to take it up a notch and she called him a Jets fan. That led to a third ticket for a defective windshield wiper – after he snapped it off. That really ticked me off. So, I called him a Mets fan. This went on for another 10 minutes and a total of five tickets were stacked on the windshield. We had taken the train into the city that day. An amusing story. However, it’s based on an outdated view of retirement. Especially the notion that retirees have to find ways to fill their time. Today, “retirement” is essentially a time of transition to a new mix of activities. It’s no longer a period of extended leisure. So, how do today’s “retirees” keep things interesting? What I’ve noticed is that the most satisfied retirees I know have little problem filling their time. They have more challenges in managing it. They’re active and they’ve built a balanced portfolio of activities. The mix differs from person to person, but what they have in common is a variety of interests across different spheres of life. And they’ve usually built them by focusing on one area at a time. They’ve figured out how to overcome the Number One Enemy of satisfaction in retirement – Inertia. It’s our default setting and it’s pernicious in retirement. Inertia is the enemy of interesting. The allure of not working often tempts people to slide into retirement without a plan or a renewed purpose. It’s great to take time off, but before you know it, months become years and you realize you’re not really making the most of your most precious asset – your time. The great thing about inertia is it can be defeated by starting something. It can be challenging to dedicate the right time to staying healthy and fit in your full-time working years. Retirement offers a great opportunity to reset and build the right habits. There’s an amazing number of in-person and virtual learning opportunities available today. What subjects or skills really interest you? There’s a course for that somewhere. Now’s a great time to sign up and learn something new this fall. Besides health, is there anything more important? You have the time now to spend it with those who matter most. Where can you start? In our default mode, it’s easy to fall into doing what you think you should be doing or what others want to do. In design mode, you can craft a vision of what you really enjoy most. After all, isn’t that what you worked so hard for so long for? A satisfying retirement takes more than money. A winning retirement plan covers what you want to do in these five areas of life. If you’re in retirement already, you may have one or more that warrant your attention. If you’re planning to retire, it’s wise to think about which area you’d like to start with first and start living the life you want in retirement. [i] Staudinger, U. M., Finkelstein, R., Calvo, E., & Sivaramakrishnan, K. (2016). A global view on the effects of work on health in later life. The Gerontologist, 56(Suppl_2), S281-S292.